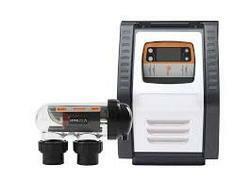 Pioneers in the industry, we offer ant chlorine dosing pump, manual chlorine dosing system and chlorinator from India. Dosing pump to dose chlorine,Chemical solution. Dosing application design Gas Chlorinator. - Chlorine cylinder / tonner connecting Yoke clamp. - Chorine filter with header valve. - Copper tube with end fittings. - Chlorine monitor with clamp. - Flow Meter with control valve is incorporated. 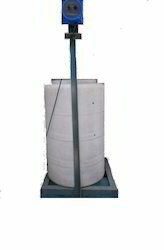 - Ejector Unit with built-in NRV and Pressure Gauge. Capacity of Chlorine Dosing : 0 ~ 2 Kg. / Hr.